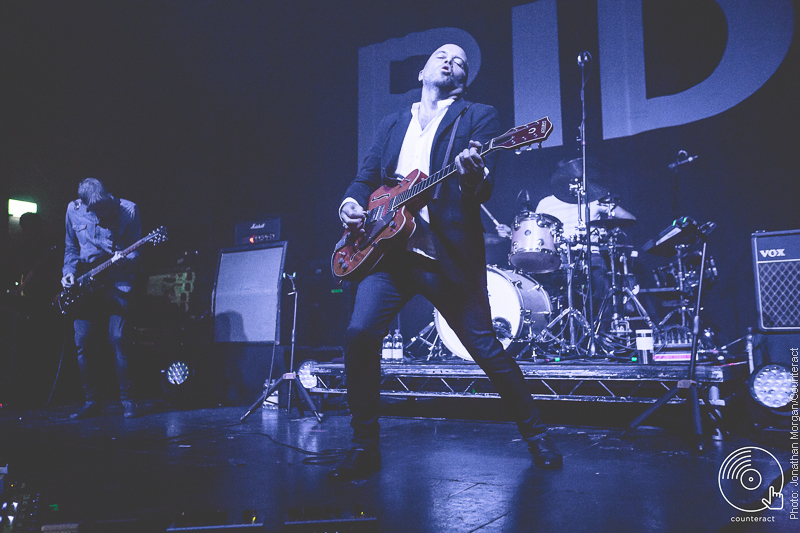 Back in the early Nighties, Ride were the darlings of the fledgling indie scene. 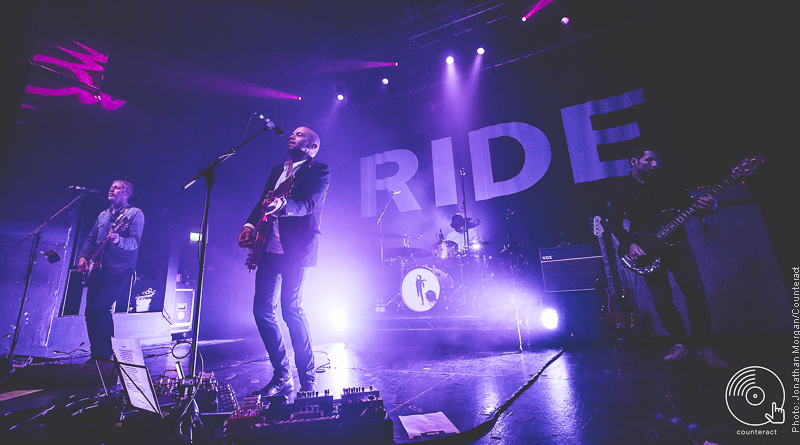 Initially pigeon-holed into the shoegazing scene, Ride always had so much more to offer, with their jingle-jangle guitars and poetic lyrics. 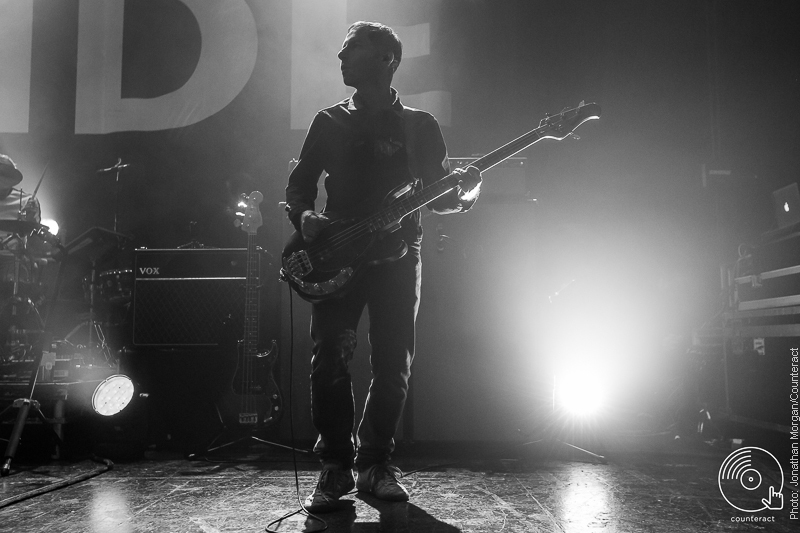 Tonight, the years were rolled back as nostalgia took over the O2 Institute on Ride’s long awaited return to Birmingham. 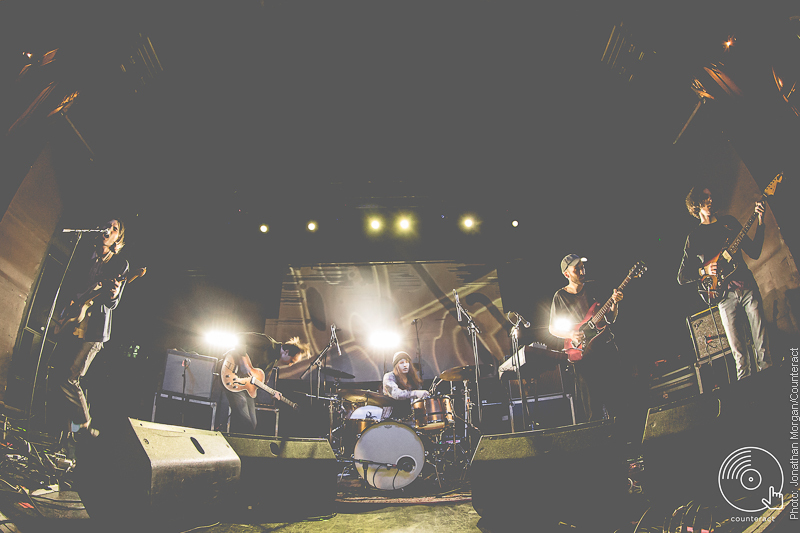 Support band Ulrika Spacek supplied the perfect warm up on a night where the word “shoegazing” would be uttered more than once. Dreamy and sometimes contrastingly heavy, the sound of the Three-pronged guitar assault flowed nicely, sometimes reminiscent of My Bloody Valentine or Ride themselves, the band’s sound maybe influenced by the past is firmly in the now. The short support set left several looking to check out more. 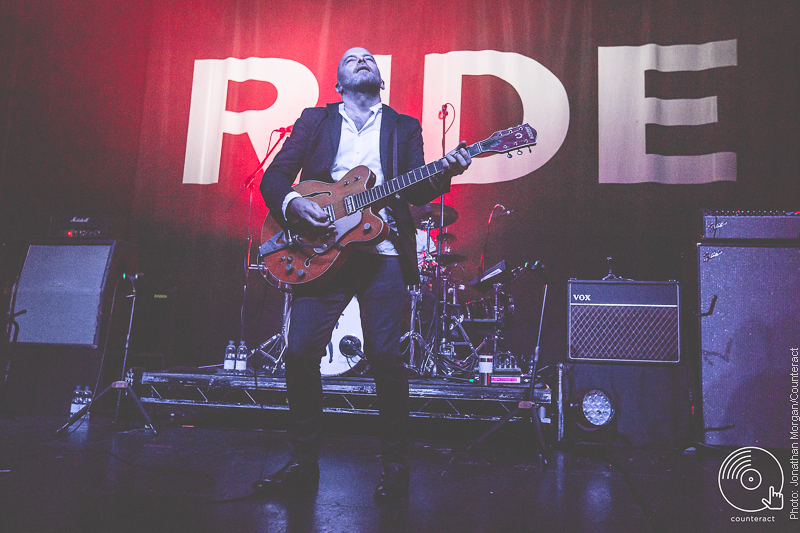 Ride entered the stage to start their dazzling two-hour set filled with old and new songs. Openers ‘Lannoy Point’ and ‘Charm Assault’ set things up nicely. Both songs taken from their new album ‘Weather Diaries’, there are echoes of early Ride flowing through the music. Gardener and Bell’s vocals remain perfectly in harmony as much as the bands connection which clearly hasn’t waned over the years apart. Old favourite ‘Seagull’ really got things moving before things kicked into overdrive with ‘Taste’. A great live version of ‘Carnival of Light’ track ‘From time to time’ slowed things down a little before the likes of ‘Like a Daydream,’ new track ‘Cali’ and 90s anthem ‘Twisterella’ controlled the crowd’s movement and took several back to memories of a time when their whole life was ahead of them. However, the unmistakable chords of ‘Vapour Trail’ was the set highlight. 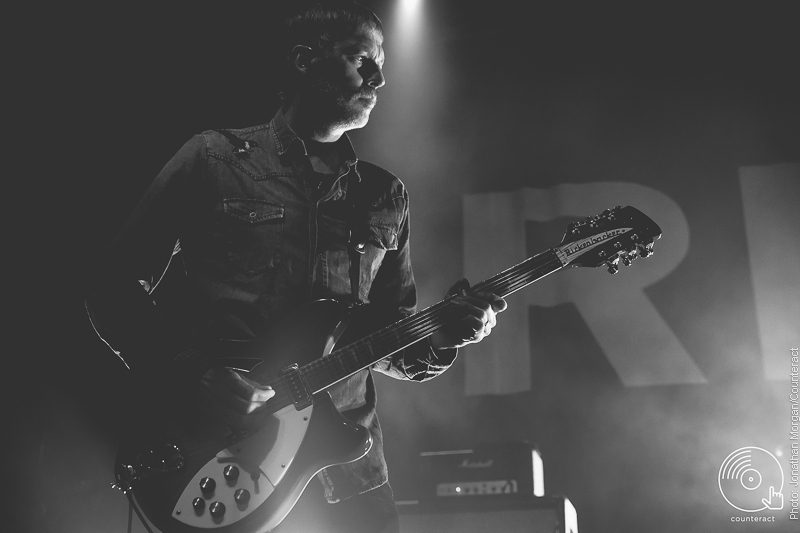 The lyrics “First you looked so strong, then you fade away” summing up Ride’s first four albums. Old classic ‘Drive Blind’ bought the pre-encore set to an end. The full set was bought to an end with a barnstorming encore which included the anthemic ‘Leave them all behind’ and ended with ‘Chelsea Girl’.